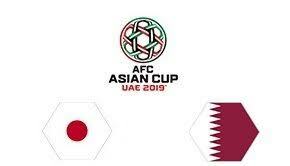 February 1 – Qatar is appearing for the first time in the AFC Asian Cup finals and will take on the 4-time Asian Cup champions Japan. Japan play in their 5th continental final having claimed the title in each of their four finals against Saudi Arabia in 1992 and 2000, China in 2004 and Australia in 2011. Japan scored 6 goals in the four finals. But the promising Qatar national team are unexpected prey for the mighty and veteran Japan. The head-to-head results of the two sides, however, are balanced. The final will be just the 5th encounter between the two Asian football teams in the Asian Cup. In the previous four matches, Qatar won 3-0 in 1988, then both sides were drawn twice 1-1 in 2000 and 2007, all the last three matches were in group stage. Their first knock-out encounter saw Japan win 3-2 in the 2011 Quarter Final in Doha. The all-time head-to-head stats between Qatar and Japan are also level. They have met 8 times in total, Qatar have won twice, Japan twice and drawn 4 times. Both sides scored and conceded 10 goals in the 8 encounters, according to #mundial11.